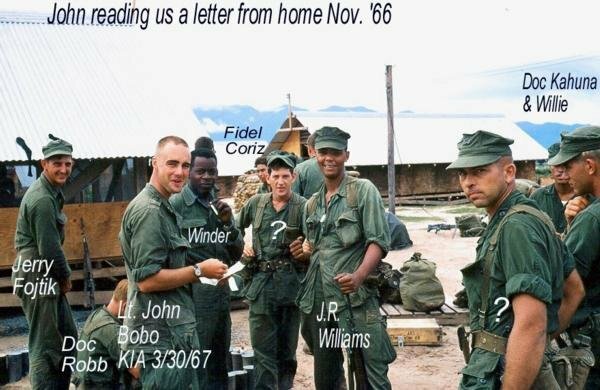 is honored on Panel 17E, Line 70 of the Vietnam Veterans Memorial. 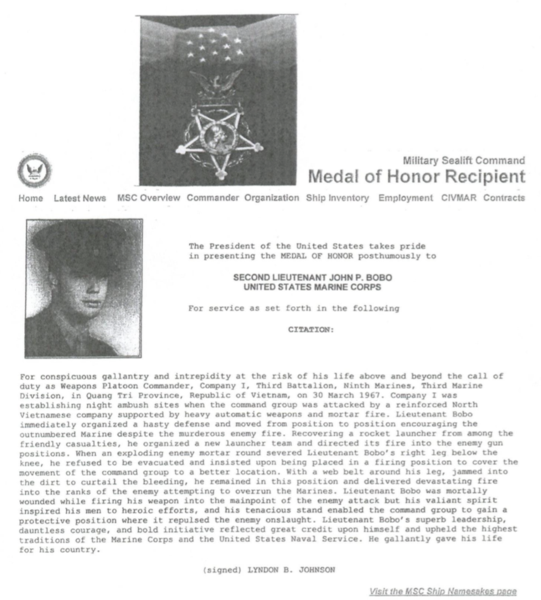 The President of the United States of America, in the name of Congress, takes pride in presenting the Medal of Honor (Posthumously) to Second Lieutenant John Paul Bobo (MCSN: 0-92986), United States Marine Corps Reserve, for conspicuous gallantry and intrepidity at the risk of his life above and beyond the call of duty on 30 March 1967, while serving with the Company I, Third Battalion, Ninth Marines, THIRD Marine Division (Reinforced), Fleet Marine Force in Quang Tri Province, Republic of Vietnam. 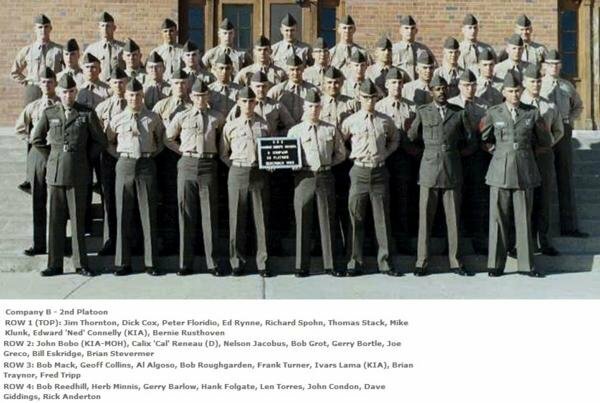 Company I was establishing night ambush sites when the command group was attacked by a reinforced North Vietnamese company supported by heavy automatic weapons and mortar fire. Second Lieutenant Bobo immediately organized a hasty defense and moved from position to position encouraging the outnumbered Marines despite the murderous enemy fire. Recovering a rocket launcher from among the friendly casualties, he organized a new launcher team and directed its fire into the enemy machinegun positions. 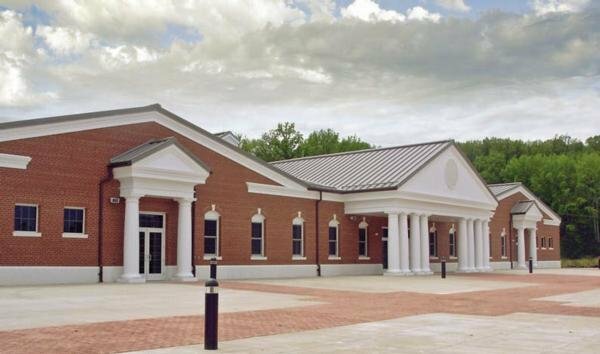 When an exploding enemy mortar round severed Second Lieutenant Bobo's right leg below the knee, he refused to be evacuated and insisted upon being placed in a firing position to cover the movement of the command group to a better location. 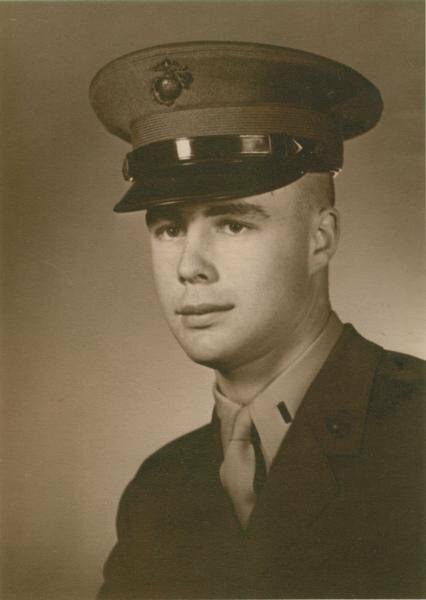 With a web belt around his leg serving as a tourniquet and with his leg jammed into the dirt to contain the bleeding, he remained in this position and delivered devastating fire into the ranks of the enemy attempting to overrun the Marines. 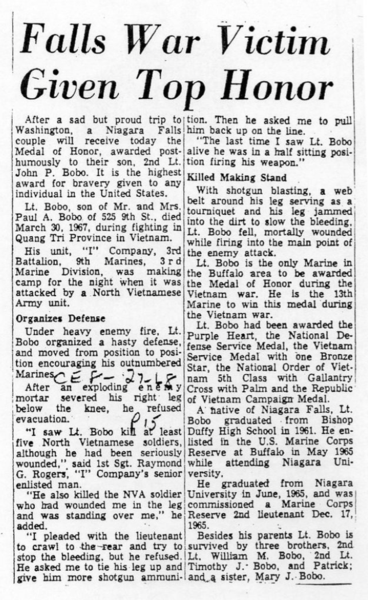 Second Lieutenant Bobo was mortally wounded while firing his weapon into the main point of the enemy attack but his valiant spirit inspired his men to heroic efforts, and his tenacious stand enabled the command group to gain a protective position where it repulsed the enemy onslaught. 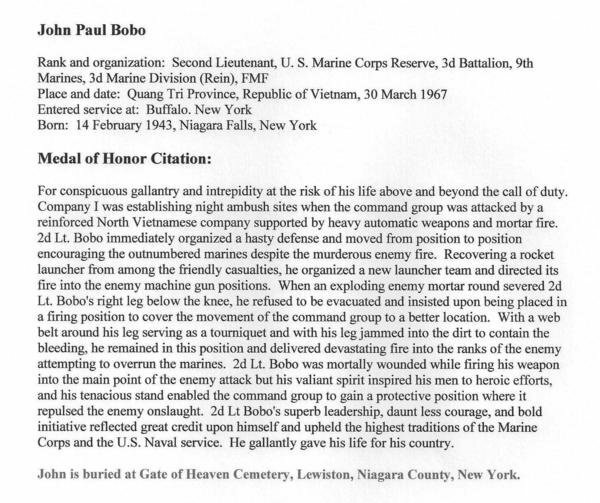 Second Lieutenant Bobo's superb leadership, dauntless courage, and bold initiative reflected great credit upon himself and upheld the highest traditions of the Marine Corps and the United States Naval Service. He gallantly gave his life for his country. My Father spoke of you on occasion having grown up near you and also attending Bishop Duffy. I hope the two You have had a chance to catch up on time lost in Heaven. Thank You for Your great sacrifice. 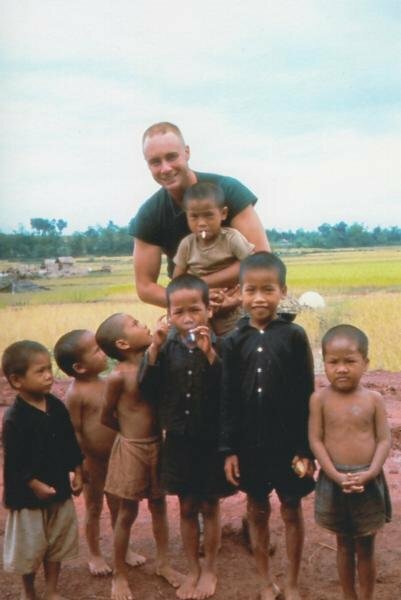 NIagara Gazette - Editorial : Honoring 2nd Lt. John Paul Bobo's supreme sacrifice. March 31, 2017. May my family and I never, ever forget the price that has been paid for the freedoms we have in this country- and may your family, friends, and fellow vets know Americans will always care.